Stay up to date with the Boating Partnerships team as we deliver exciting new updates on boats and events. Riviera 4800 Sports Yacht ( Above ). The Sydney based 4800 Sport Yacht has sold out in record time, much to the delight of our sales team. Owners are already taking full advantage of the vessel with the official christening happening early last week. The boat delivers incredible space and performance, with sleek yet functional styling, a deep sturdy and voluminous hull and enough horse power to properly call it a Sports Yacht. Theres only one problem for those interested in Sydney, its sold out. Not to worry, the next 4800 will be along shortly. And then there was 5…. Shares in our 6000 Sport Yacht Wings have recently been split into a 5 share ownership. Originally in quarter ownership, 2 shares now remain at $420,000. The East coast roaming vessel will still keep its scheduled movements between QLD and NSW but is now at an even more enticing price. Its currently in Sydney, don’t miss your chance to view it! QLD Based 4800, ready and looking good. Due to the overwhelming success of the Sydney based 4800, Boating Partnerships is proud to deliver the QLD based 4800. Sitting perfectly between the 3600 and the 5400 sport yacht it brings together all the wants on the 5400 with a price bracket closer to the 3600. Split into a 5 way share, this 4800 is expected to sell out faster than the Sydney sister ship did. Buyers advantage? its brand spanking new. BIA, the voice of the marine industry. Established in 1960. Managing Director finds “Great value” at BIA Annual General meeting. Tom van Vliet our Managing director attended BIA’S AGM last night to further strengthen our partnership in the industry and see how the industry is moving forward. Good things are seen ahead as the meeting opened avenues for discussion about how both consumers and workers of the industry will benefit in the coming year. 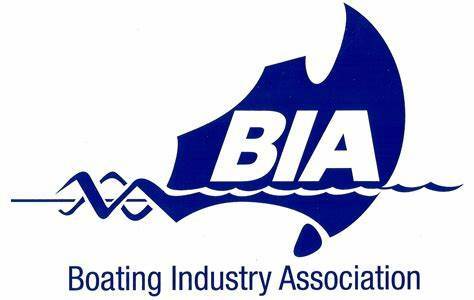 Boating Partnerships is proud to be a member of the BIA and constantly strive to uphold its values. A big thank you to Alan Blake and the team from BIA for hosting us. See you on the harbour. Sign up with your email address to receive the Boating Partnerships news and updates.